Black Bulls AGRO SUPER TRACTOR is Multi-grade oil for engine, transmission, wet brakes and hydraulic system. Blended with 100% Virgin base stock, formulated with the multiple additives and blended using latest technology; provides superior lubrication. AGRO SUPER TRACTOR is recommended for charged and uncharged diesel engines (TURBO),4T gasoline and LPG engines. 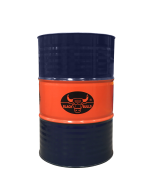 This oil is intended for the lubrication of gear boxes, deferential, final drive, power take-off, wet brake and hydraulic system of agriculture tractors and engines for off-road equipment. Excellent high pressure stable lubrication film.